Some people, especially women, want to have wavy and curly hair, so they have their hair treated in order to get the wavy curls they want. This hairstyle is called a permanent wave, or perm for short, and a good deal of heat and/or chemicals are used to form and maintain it. If you have permed hair, one of your concerns would be what shampoo to use that won’t ruin your curly locks. Today we are going to give you some tips on how to choose a good shampoo to use on your perm, as well as our top 7 recommendations for the best shampoos for permed hair you can buy online. When looking for a shampoo, you have to be very mindful of what sort of ingredients are used in it. The ingredients in the shampoo could have effects on your perm, so make sure to check the labels and choose wisely, especially if you want your perm to last long. The cleaning component in your choice of shampoo can affect the strength and durability of your hair. When it comes to permed hair, it’s recommended to use a shampoo that has an amino acid-based or acid soap-based cleaning component. In general, there are three different kinds of cleaning components in shampoos: amino acid-based, acid soap-based, and alkaline soap-based. As their names suggest, amino acid-based and acid soap-based cleaning components treat the scalp with a small amount of acid that makes both the scalp and hair healthy. On the other hand, alkaline soap-based cleaning components in shampoo could cause permed hair to weaken and fall off, so avoid using these kinds of shampoos on your perm. Most shampoos being sold in the market today contain silicone. Silicone coats the hair during washing, and it helps the hair feel clean and done after washing. However, these shampoos make it difficult to get your hair permed because the coating protects hair from the perm solution. Also, the silicon coating makes hair heavy, so it weighs your curls down. Non-silicone shampoos may be preferable in this case. However, with non-silicone shampoos, your hair might feel squeaky after washing. Then, it is advisable to use a shampoo with silicone until your hair feels smooth. 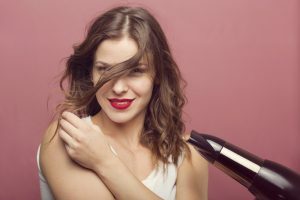 When your hair is dry, the outermost layer of your hair strands gets damaged, and this leads to your hair’s gloss and health getting compromised. It’s difficult to maintain a long-lasting perm hairstyle if you have dry hair. Not only that, but dry hair could mean that you also have a dry scalp. A dry scalp doesn’t make enough moisture to keep the hair strong and nourished, so hair becomes dry. A dry scalp can also become itchy and cause flakes to fall off of it like dandruff. Also, amino acid-based shampoos and non-silicone shampoos may make your hair feel squeezed after washing. So, make sure to choose a shampoo that has strong moisturizing ingredients and good moisture retention. Shampoos that contain hyaluronic acid, ceramide, collagen, etc. are recommended. Some shampoos, like non-silicone shampoos, have a weak washing power and don’t create a lot of shampoo foam. Since it creates less foam, you might feel like the shampoo doesn’t clean very well unless you use it twice. 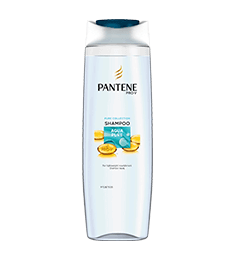 A shampoo that makes a lot of foam feels good and clean on the hair during and after washing, so consider looking into it when buying a shampoo. Most shampoos for permed hair have a corresponding conditioner which is produced by the same manufacturer. You can get the best results when using them together. Also, such shampoos and conditioners often contain the same fragrance, so you won’t mix up the fragrance. When you buy a shampoo for permed hair, please do not forget to check if a matching conditioner is available or not. Now that you know what to consider when looking for a shampoo for permed hair, here are our top 7 recommendations of the best shampoos available to buy online. We based our choices on the shampoos’ ingredients and their effects on your hair and scalp. This shampoo contains amino acids that clean and moisturizes the hair. It also contains coconut oil as a main component, which not only makes the hair smell nice but also gives the shampoo a creamy lather. The shampoo is mild and can be used every day. 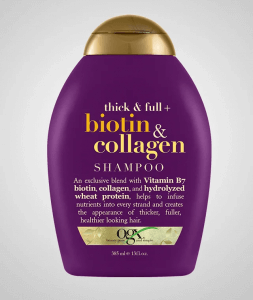 This shampoo works best with people who have thinner or lighter hair. If you have thick hair, the coconut oil could weigh it down and make it feel flat and heavy, so don’t use it if you want your hair to feel light. If you have thin hair as a result of your perm, consider this shampoo. Its main feature is that it contains biotin and collagen. The biotin and collagen make hair thicker and gives it texture, giving your hair more volume. It can be used on all hair types, so feel free to use it regardless of the kind of hair you have. If you want to give your permed hair more volume, this shampoo may be the best one to use. This clear shampoo is made to clean your hair as quickly as possible with its Clean Rinse technology and make it feel light. It does not contain any harsh ingredients, including silicone, so using it will make your hair feel lightweight. 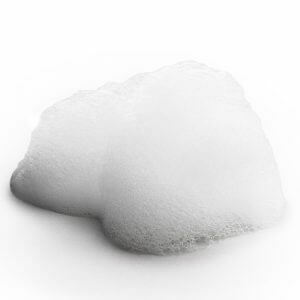 Despite being a silicon-free shampoo, however, it still lathers and makes foam. This is a good shampoo for people who want to keep their permed hair for a long time by making it lightweight, but who also want a clean feeling after washing. 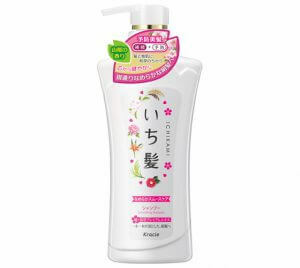 Made in Japan, this shampoo is made with rice extracts and smells like cherry blossoms. It is silicone-free and contains amino acids, so it won’t weigh your hair down. It also cleans your hair and scalp gently. For those looking for a lightweight shampoo with a good floral scent, consider getting this shampoo. It’s sold with a corresponding Ichikami Smooth Line Conditioner, so if you’re looking for both, this package can meet your needs. 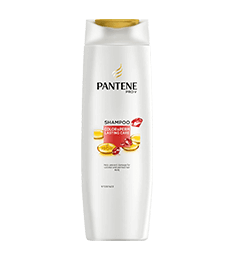 One of this shampoo’s main features is that it contains keratin, which repairs and rejuvenates hair that’s been damaged by the environment or by chemicals. The other main feature is that the shampoo has a unique chocolate scent. 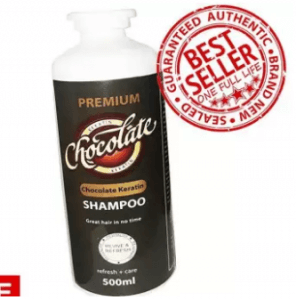 Not only will this shampoo bring life back to your damaged hair, but it will also give it a nice chocolate smell. If you’re concerned about getting a uniquely good-smelling shampoo that will also help strengthen your perm, then this shampoo might be for you. This shampoo is specifically made for permed hair, as well as for hair that’s been colored. 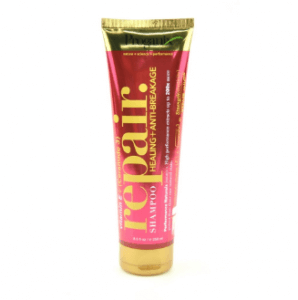 It contains keratin damage blockers that not only repair and revitalize hair damaged by chemical treatments but also stop further damage from occurring. 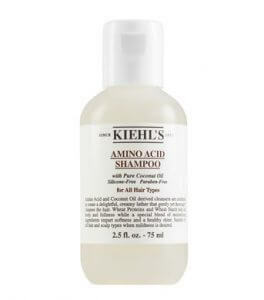 If you feel like your hair needs a keratin boost after having your hair permed, this shampoo could be the one for you. Also consider using this shampoo if you had your hair dyed as well as permed, and want to keep the colors. 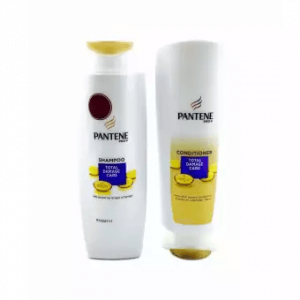 This shampoo uses a combination of Vitamin E and Ceramide 3 to make hair stronger and more elastic. The shampoo also repairs split ends in hair, which perming can cause, as well as decreases hair shedding. If you have split hair caused by perming, this shampoo might be the one for you. This shampoo can also help you if your hair is starting to fall off. There’s more to taking care of permed hair than just looking for the right shampoo to use on it. If you want your perm to last long and look its best, here are three tips to help you make the most of it. After getting your hair permed, don’t use shampoo on your hair for the rest of the day. The chemical hair treatment for perms is said to take 24 hours to fix the shape of your hair. If you wash with shampoo on the day you get your perm, it could wash away the treatment and remove the perm. When you wash your hair with shampoo, afterwards make sure to dry your hair properly. When hair is wet, the outer coating of the hair (known as cuticle) opens up. When hair strands rub against each other with open cuticles, it causes damage to the hair strands and makes maintaining a good perm very difficult. Not only that, but hair becomes heavier when wet, and the weight of water along with the pull of gravity can stretch your hair and ruin the shape of your perm. When drying your hair, it’s recommended to twist or grasp it while following the curves and curls of your perm. That way, the shape of your perm is maintained. Brushing your hair will not help maintain your permed hair. 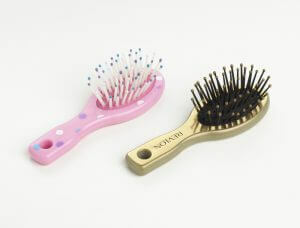 Brushing pulls on your hair, which stretches the curls and waves of your hair. This is especially true if you pull on your hair with force, as it could totally ruin the shape of your perm. It’s not recommended to blow-dry your permed hair while brushing it. To prevent tangled hair and squeaky hair, we recommend using a good moisturizing shampoo. Many kinds of shampoos that are suitable for permed hair are being sold in the market today. They differ mostly depending on what ingredients they contain; these ingredients can have different effects on your hair and your comfort. In order to choose the right shampoo for you, you have to consider what your hair needs, your hair’s health, and what you want for your perm.